If you’re a creative professional, you’re in the business of storytelling. Every graphic you craft, every copy you write, every user experience you orchestrate. Concepts. Photos. Interactions. Special effects. They all help to tell a brand story. You’re building your client’s storyworld. But what happens when you’re given a chance to write your own story? No brief. No guidelines. No one to report to. No fees or deadlines or demographics. Just you and your creativity. You only have to answer to that soft voice inside your head. That emotional compass in your heart. Just you and that inner guardian of your hopes, your dreams, your visions. It’s a completely different way of working. 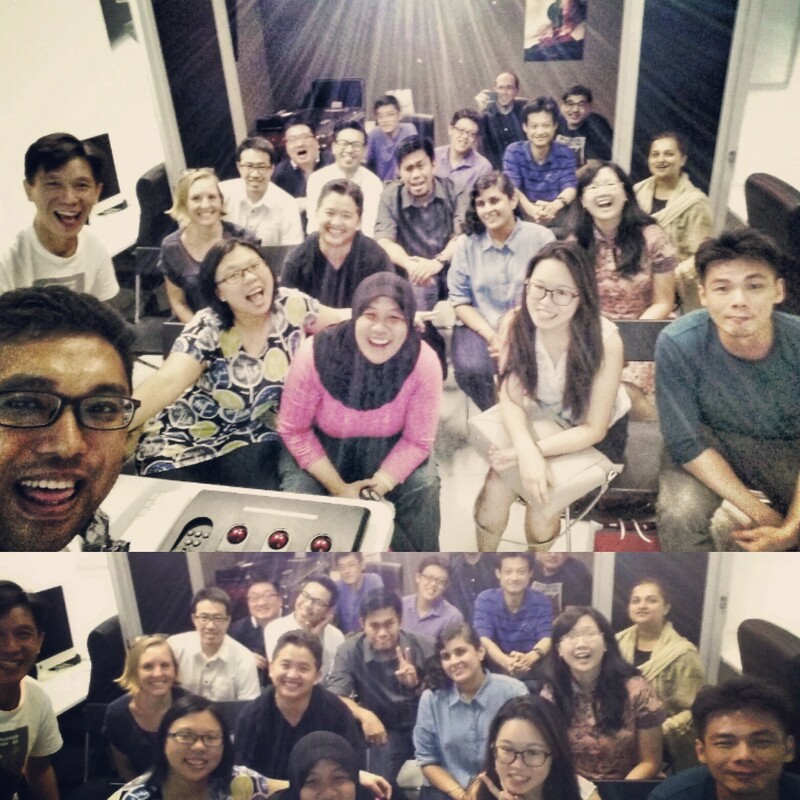 As a co-organiser of StoryCode Singapore, and founder of the 100 WRITERS fiction writing support group, I’ve had the chance to meet many creative professionals who turn up with the training, the craft, the tools and the will to write their own stories. Whether it’s a book or a film or a comic script or even a play. They have all that, but what’s missing is a sense of self assurance, whether their personal project is worth pursuing wholeheartedly. Tell me the specs, they seem to say, and I will get cracking. It’s a bit of a nightmare, sometimes really frustrating, when I confess that in this endeavor there can be no specs. When you’re investing in your own creative storytelling, whether fiction or non-fiction, you’re making art. From the raw stuff inside your own heart. From the primal impulses of humanity that swirl through your genes. And that requires us to start from a different place altogether. It took me a while to come to terms with this. I spent years writing for magazines, tv shows, online content sites, always with clear specs, always with a compensation package negotiated at the start. To guide and motivate the work. But if you’re writing your own stories though, making your own art, it works best if you find guidance and motivation in a more introspective way. As I tried to figure this out for myself, I kept a whole set of journals so I could capture my reflections about this. And then I sorted these ideas into a more linear format for easy reference. Which grew into this book, IMAGINE ALL THIS: HOW TO WRITE YOUR OWN STORIES, published by Marshall Cavendish / Super Cool Books at the end of 2016. It’s about how to write your own stories in a way that’s true to you, and also in a manner that builds on humanity’s tradition of storytelling, which goes back thousands of years, as opposed to working within the industrial profession, which is only about slightly under two centuries old and asks of us much less talent and imagination and courage than we are capable of. Anyway, it looks like there are robots and AI software that can take over a lot of advertising-related storytelling in the years ahead. I hope this book helps you launch your own stories. From your heart. Discover your own art. Help us keep the tradition of storytelling one step ahead of the robots and artificial intelligence software that are on the way. Most of all, I hope you have fun. 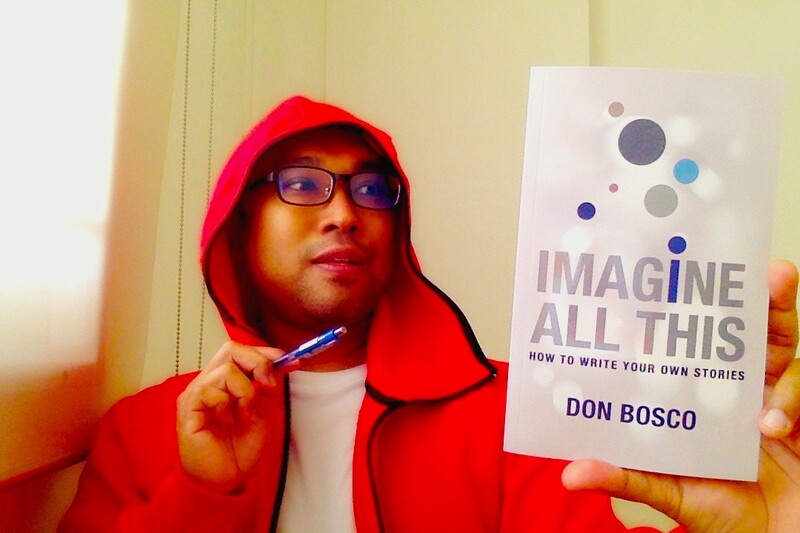 IMAGINE ALL THIS: HOW TO WRITE YOUR OWN STORIES by Don Bosco is available from bookstores and online retailers. Read excerpts here.